I think some of the most visually interesting cookies I saw at the farm shop that is on the unlikely place of the M5 and disguised as Gloucester Services, were these Marshmallow Cookies by a Devon company called Teonis. 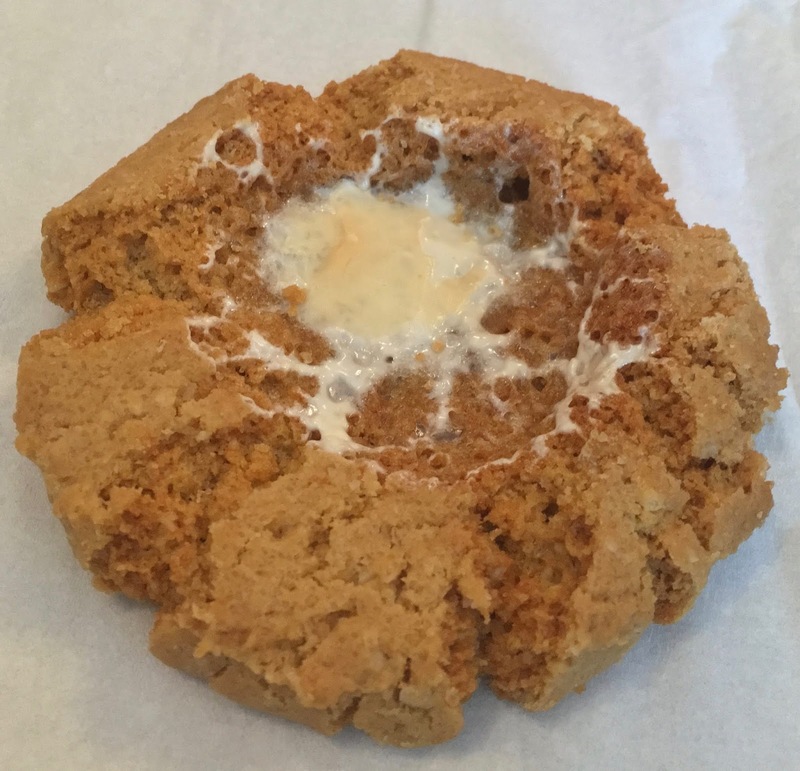 They looked really interesting because each one of them consists of a thick chunky cookie, with a sunken middle and a melted marshmallow on top. The biscuits are big too, and looked like a proper treat. The flavour was sweet and wonderfully oaty with a good hit of sweet golden syrup. I found myself really enjoying the flavours. The oats gave them a lovely wholesome taste. The marshmallow meant the the thinner middle section was quite sticky, and although visually it made the biscuits look intriguing, I’m not sure it added that much else. The marshmallow flavour didn’t come through that much and the stickiness wasn’t the best representation of what would have been a big fluffy mallow. 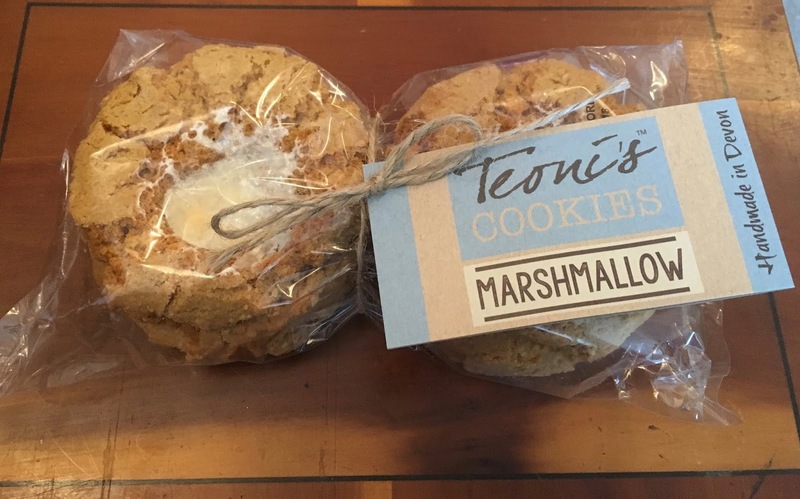 As much as I like marshmallows, this made me want to try Teonis plain cookies. One important thing though, these biscuits are perfect for dunking, they are thick and chunky and hold together really well. They also absorbed my coffee well, and the flavours worked perfectly together. Now all I need to do is work out where I can buy this brand in the Midlands.